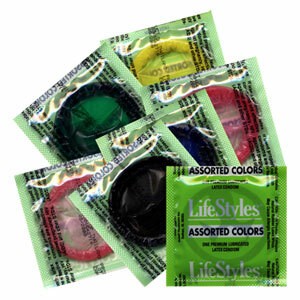 Lifestyles Brand Condoms in Assorted Colors! Includes yellow, red, blue and green. Lubricated latex condoms. Add some more excitement to your life. Great gift idea. Choose your quantity, buy in bulk and save the more you buy the more you save! Assorted only.